In the fairy tale realm of Arilland, stories are told at children’s bedsides–and not the stories you think you know. 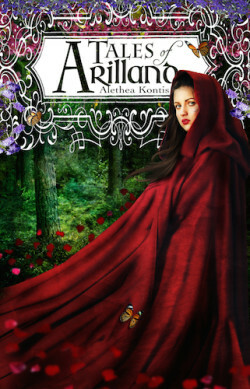 Tales of Arilland is a collection of fairy tales, presented in the magical topsy-turvy way that only Alethea Kontis can do. Discover the story of Bluebeard’s first wife (“Blood From Stone”), what really happened to Snow White in those dark woods (“The Unicorn Hunter”), how dangerous the Little Mermaid might have been (“Blood and Water”), and just how far Little Red Riding Hood was willing to go (“Hero Worship”). Included in this collection is “Sunday,” the original novelette that inspired the award-winning novel Enchanted, as well as “The Cursed Prince,” the previously untold history of Prince Rumbold of Arilland…and more.